André Loesekrug-Pietri, holding both French and German nationalities, is a Young Global Leader of the World Economic Forum, Chairman of the Paulina Foundation dedicated to Education and Environmental issues, and founder of A CAPITAL Fund. A CAPITAL, of which China Investment Corporation is one of the investors, has a successful track-record of investing into European companies to accelerate their growth in emerging markets and particularly in Asia (Club Med, Bang & Olufsen, Viadeo). A CAPITAL is investing across all sectors but has a particularly strong expertise in lifestyle/brands and in the environment & energy sectors. Previously André cofounded CEL, growth fund for China, Jaccar Capital Fund for Vietnam & China, and Burelle Participations, a growth & buyout investor in Europe. 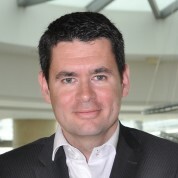 Until 1999, André was assistant to the CEO of Aerospatiale-Airbus in Toulouse. He is a Graduate of HEC, of the International MBA Program of Michigan Business School, of the Global Leadership & Public Policy Program from Harvard Kennedy School, and attended Sup-Aéro aerospace engineering school. He has been appointed Counsellor of Trade by the French Government, is Deputy Chair of the Beijing Financiers Club, member of the Eiffel Group (for a political union of the Euro), Colonel with the French Air Force People’s Reserve and visiting lecturer at Renmin University. "I am very humbled and proud to be part of the TeacherPrize Jury, education being the best investment anybody can do to make the world a better place."